Hi, folks! I've been working diligently behind the scenes, preparing for the holiday season and still can't believe it's knocking on the door already! Weren't we just ringing in the new year a few minutes ago? To say this year has flown by would be a huge understatement, but I suspect I'm not alone in that feeling. I've spent a bit of time updating my shop as well, adding photos, printable cards and more, and I'm so happy with the results I just want to share the new stuff with you today! I've been playing around with double exposures lately and loved this image, which I call A Greyhound Dreams of Spring. With bare, winter branches trailing behind him, this greyhound dreams of of warmer days to come. Find it here. I've also been working on printable photo cards for the holiday DIY'er. You can print these on your own at home or use a specially-designed template to send to Moo for professional printing, where you can add a customized message of your own and get free envelopes with your order. Being the greyhound-obsessive I am, a couple of the cards feature those sweet faces, which really shouldn't come as a surprise. Check 'em out below and click on the image to go directly to the item in the shop. In a previous life, I was a graphic designer and like to keep up with the programs in a "use it or lose it" sort of way, so I had fun creating a couple of typographic printable cards for New Year's Eve or just a fun holiday party. Again, you can print on your own or send to Moo for a no-hassle experience. Click on the images below to view them in the shop. 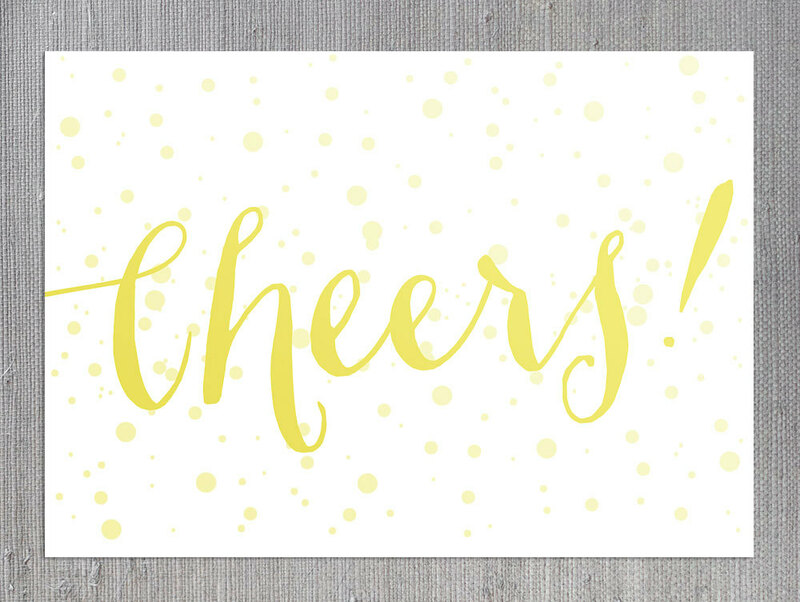 A card for the champagne connoisseur in you. I hope you like them! If you have any suggestions of things you'd like to see for sale or if you want to inquire about a custom order, drop me a line at amyrothphoto [at} gmail.com. I'd love to hear from you, even if it's just to say, "Hi."